You will hear that phrase many times in your career- but what does it mean to a public accountant? The stress of a never ending workday can be damaging. Continuously working, day in and day out, will have you running on fumes and will damage your productivity while not working enough will have you labelled as unproductive. How do you strike the perfect balance between the two? As a young professional in a public accounting firm, you often find the tiny voice in your head asking you whether you’ve done enough or if it’s acceptable for you to log off for the day. You are trying to prove your worth to your partners and managers often at the expense of your sanity. The belief that “you aren’t successful unless you are busy” fosters an unhealthy work environment and makes for unsatisfied staff. 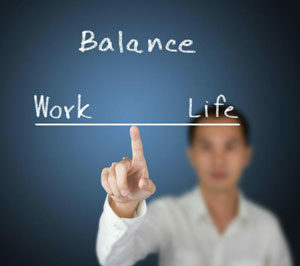 At MacGillivray we believe that work/life balance is our distinguishing factor among other accounting firms. We understand the high demands of public accounting and we require all hands on deck during our busy season. The effort put in by all our employees is what makes each busy season more successful than the last. Our administration staff plan stress relief events, such as multiple massage days, during our busy season to help staff cope with the rigorous demands. During the off-season, we want you to take advantage of the beautiful weather and your vacation time and explore all that life has to offer you. We find that this time off helps our employees relax and rejuvenate in preparation for our next busy period. We want to make sure that you are less susceptible to burnouts and are satisfied with us as your employer. Fostering a supportive and health work environment is what we strive to achieve. It is not easy to maintain work/life balance nowadays, however there are steps we can take as an employer to help you achieve it.